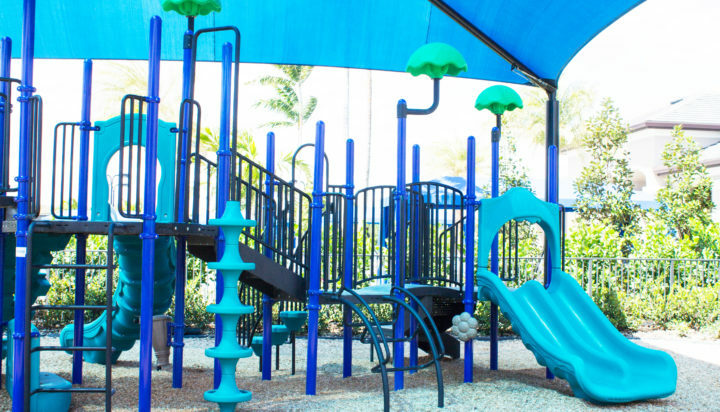 Its undeniable that play helps bring children and adults together and strengthens communities. 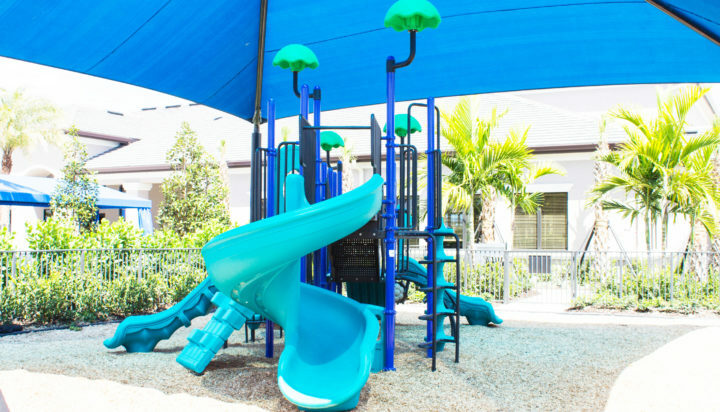 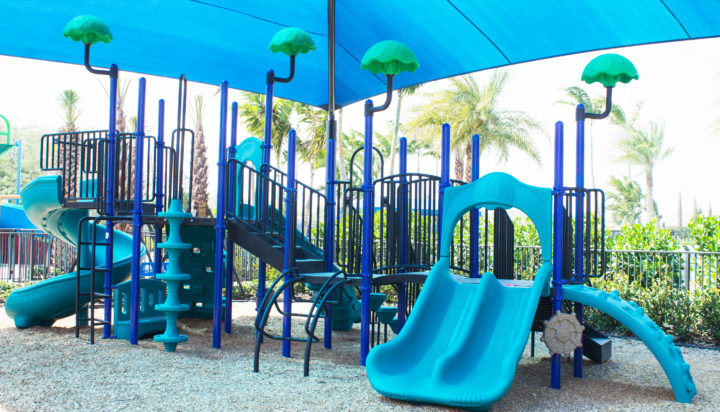 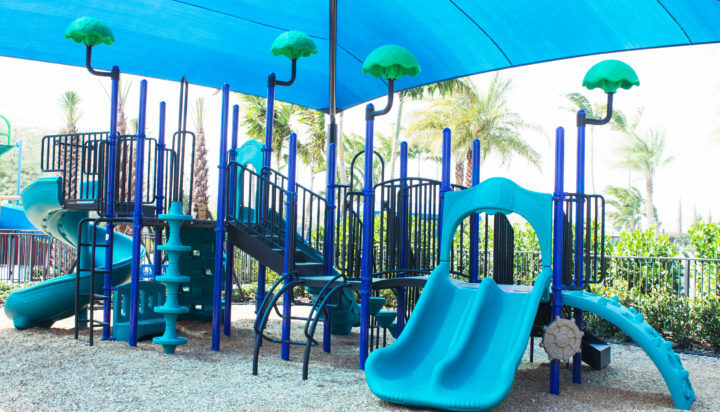 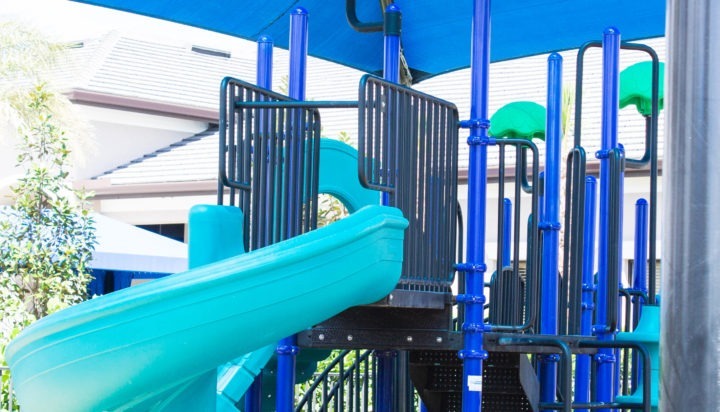 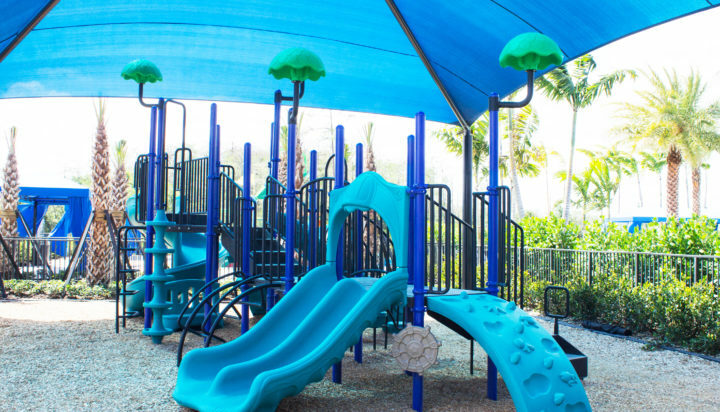 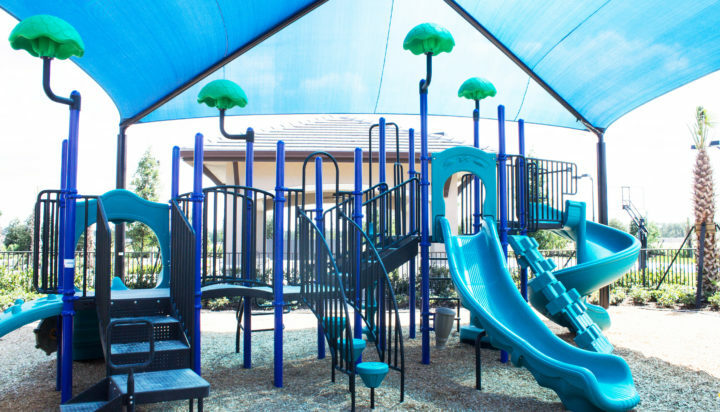 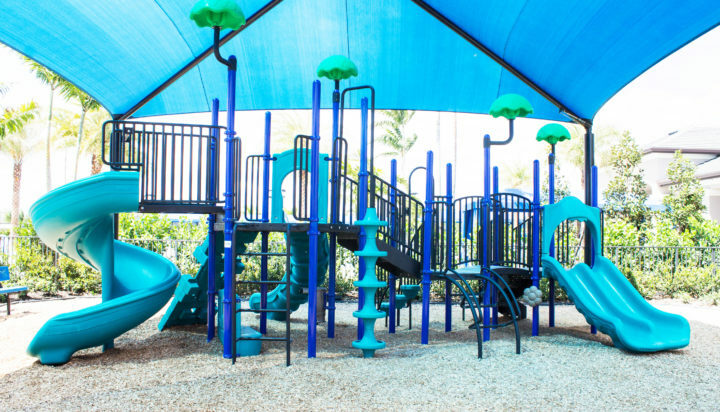 This beautiful housing community in the Fort Myers, FL area is packed with amenities including a world class clubhouse, which thanks to our experts at Pro Playgrounds, now also features a world class playground and large shade structure. 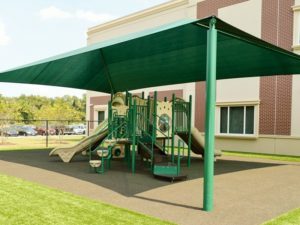 This project features a custom designed commercial playground unit, a custom designed shade structure, some of our most popular independent play items as well as site furnishings and engineered wood fiber mulch. 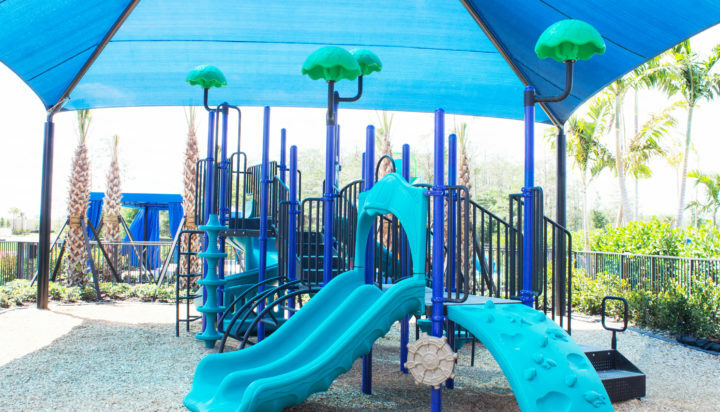 This playground was installed over an existing asphalt parking lot, as was all of the poured in place rubber and artificial turf. 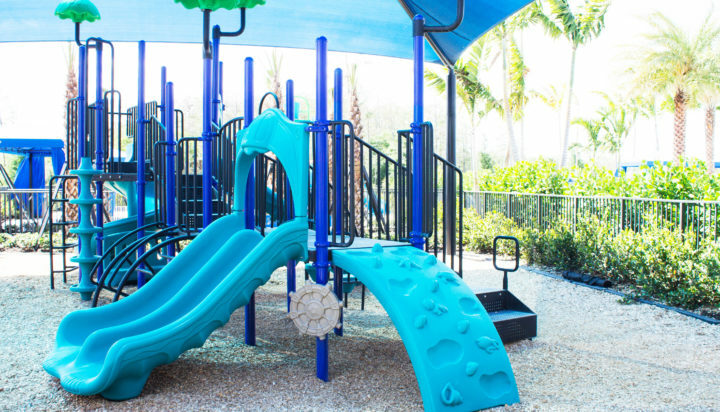 We guarantee safety, all of our our playground equipment meets or exceeds CPSC and ASTM standards and is certified by IPEMA. 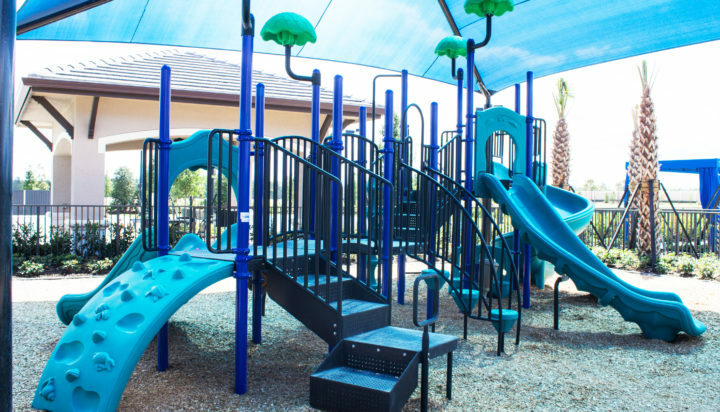 All of our playground equipment is made of durable commercial grade materials, designed to last a lifetime. 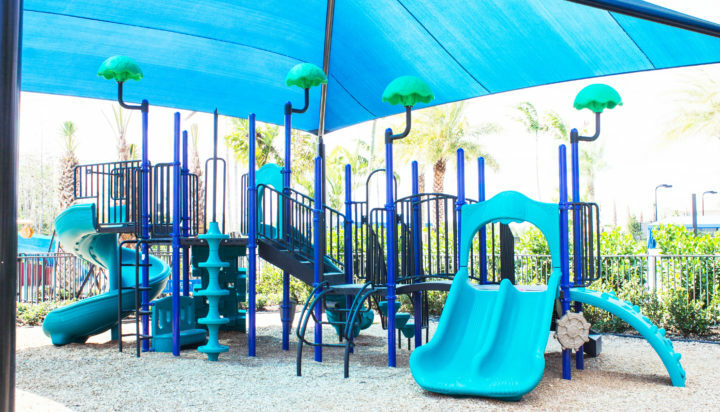 Guaranteed hassle free professional installation by our licensed and experienced playground installation experts. 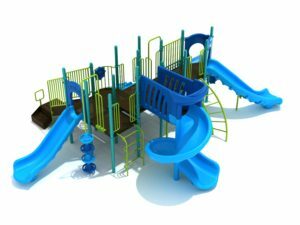 Hundreds of pre-designed structures and flexible custom playground design options to fit any space, need or budget.